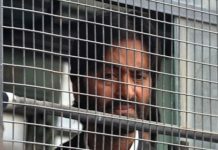 Senior Congress leader Kadfeen Chowdary Monday castigated PDP leader Naeem Akhtar for his remarks that Ghulam Nabi Azad and Farooq Abdullah are facilitating BJP’s rule in Jammu and Kashmir. 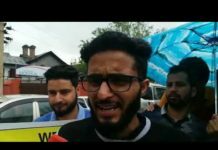 Kadfeen said that Ghulam Nabi Azad is the tallest leader who not only in Kashmir but also wishes to see BJP out of power in country. “Before accusing a leader like Azad, political leaders should see where they stand. Azad is a force to reckon with. 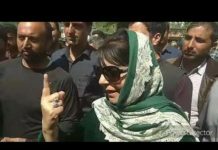 His tenure as Chief Minister of Jammu and Kashmir is before all and everyone knows how to started an era of development and progress,” he said. Kadfeen Chowdary said that Azad is such a leader that even his criticism sounds pleasant whereas, he added, there are some leaders who, even when they say something good, make it sound like abuses.